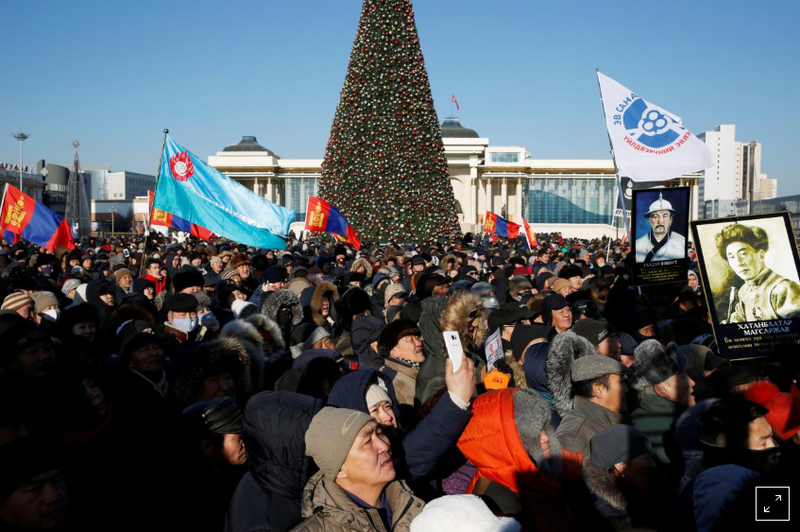 ULAANBAATAR (Reuters) - Tens of thousands of Mongolians took to the streets on Thursday to protest against corruption in the top echelons of politics, braving temperatures that dropped below minus 20 degrees Celsius in the capital, Ulaanbaatar. 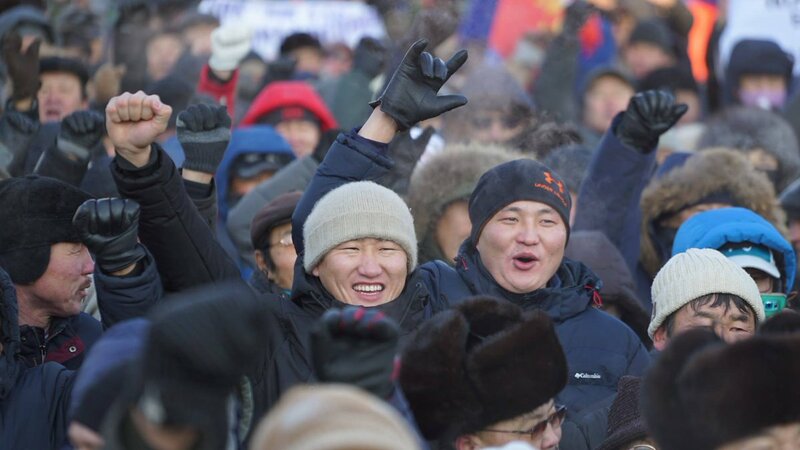 The protesters - organizers estimated there were 25,000 of them - focused their anger on Mongolia’s parliamentary speaker, Enkhbold Miyegombo, and the two main ruling parties, the Mongolian People’s Party and the Democratic Party. There has been rising anger over a long-running corruption case related to allegations that Enkhbold and other political figures had looked to raise 60 billion tugrik ($23 million) by selling off government positions. Enkhbold has denied the allegations. 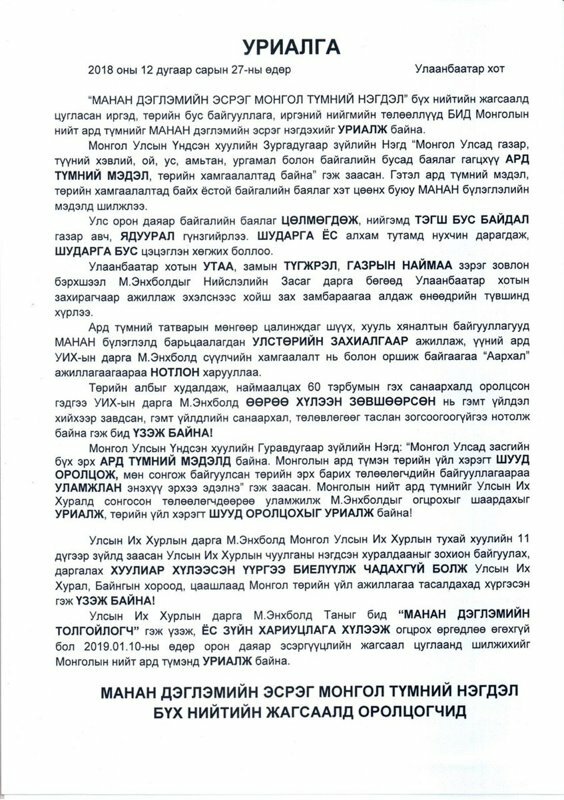 A cross-party group of politicians who are boycotting the parliament’s plenary sessions has signed a letter demanding Enkhbold’s resignation. 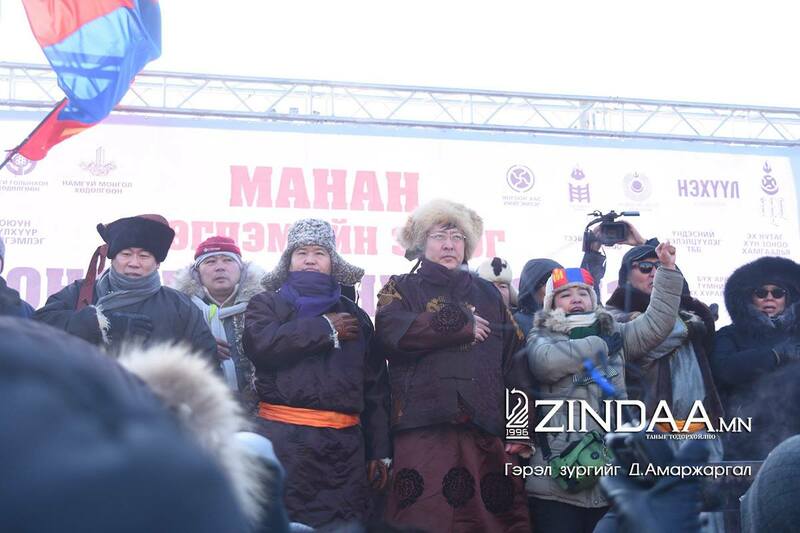 The group, the Mongolian People’s Union, opposes the two main parties, together know by the abbreviation MANAN. “We will not allow the situation where the MANAN faction gets all the wealth and resources, while people ... remain with nothing,” member of parliament Ayursaikhan Tumurbaatar told media. “The air pollution, people’s poverty, wealth inequality all started with Enkhbold, since he was the mayor of Ulaanbaatar city,” he said. Mongolia, for years a satellite of the Soviet Union, transitioned to parliamentary democracy in 1990. 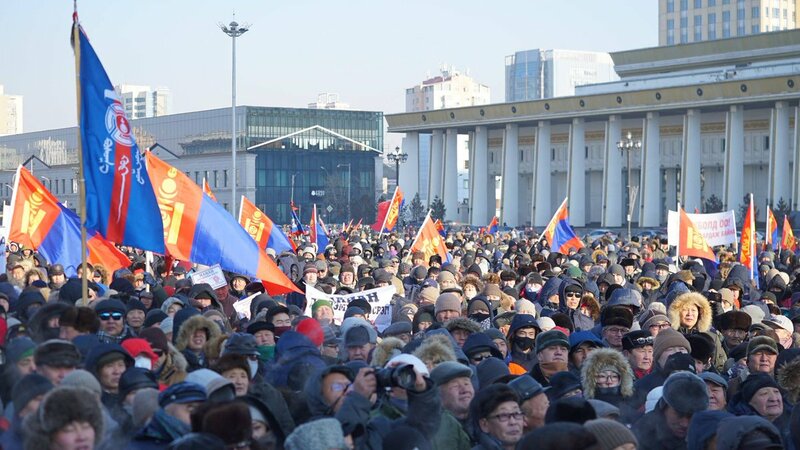 At the Thursday protest, people held up placards with messages such as “We Demand Enkhbold Resign”. 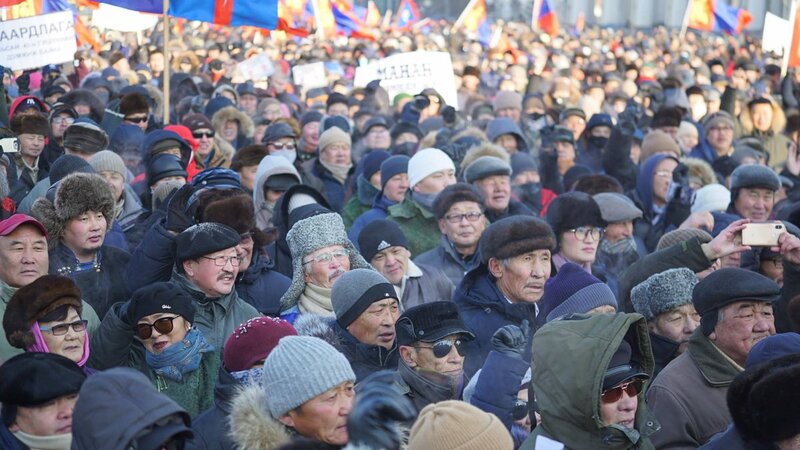 Protester Dejid Avirmed, 61, told Reuters that people were fed up that in a mineral-rich, democratic country like Mongolia many still lived in poverty. “Mongolians are very patient, but now we lose our patience,” she told Reuters at the protest in the central square in front of parliament. Thursday’s regular session of parliament was delayed, the seventh time it has been, because of the boycott by the members demanding Enkhbold’s resignation. The last scheduled parliament session for 2018 is due on Friday. “Parliament members should solve the problem not by appealing to protests, but by coming to the parliament session hall. 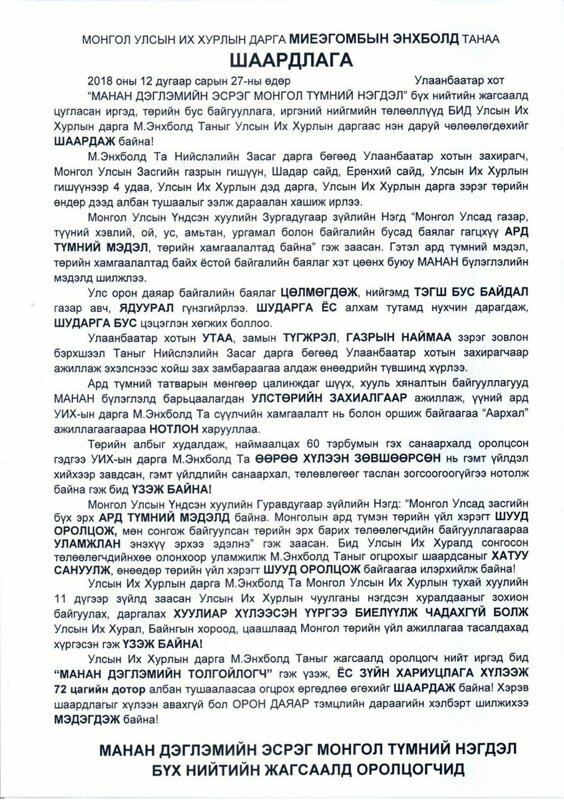 This is the law,” said Enkh-Amgalan Luvsantseren, deputy speaker of parliament, media reported.